Tuberculosis (TB) continues to be a leading cause of morbidity and mortality in developing countries and India has the highest TB burden globally, accounting for 21% of the global incidence and two- thirds of all cases in Southeast Asia. HIV and TB co-infection form a lethal combination, each speeding up the other disease progression thereby posing great public health challenge. Timely and accurate diagnosis of TB is warranted for effective clinical management and preventing further spread. However, still AFB smear microscopy remains the TB diagnostic test of choice at most centres due to cheaper price and quick turn-around time, though various studies show low sensitivity. Culture for TB remains the gold standard though hampered by cumbersome procedures and the time delay. Automated and semi-automated liquid based cultures are not affordable to TB patients in developing nations. With the emerging threat of MDR-TB and extensively drug-resistant TB (XDR-TB) strains, there arises the urgent need for a new, inexpensive, rapid and sensitive diagnostic method for effective diagnosis of TB and drug-resistant TB. Microscopic observation drug susceptibility (MODS), a simple assay developed and validated in Lima, Peru. 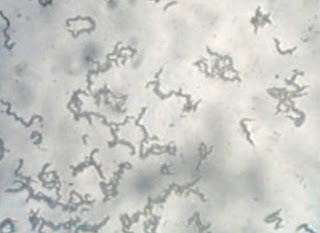 The assay was developed by making use of well-known properties of Mycobacterium tuberculosis that the rate of growth in liquid medium is considerably quicker than that in solid medium, and the morphology of M. tuberculosis in liquid culture is characteristic and recognizable, consisting of "cords" and "tangles. The MODS assay has been studied extensively and reported to be rapid and accurate. In a recently published scientific article, Solomon S and colleagues from Chennai, India had evaluated the suitability of the microscopic observation drug susceptibility (MODS) assay, a novel assay for the diagnosis of TB and multi-drug-resistant tuberculosis (MDR-TB) directly from sputum specimens, in the Indian setting. This study involved a cross-sectional, blinded assessment of the MODS assay on 1036 suspected cases of pulmonary TB in HIV-positive and HIV-negative patients against the radiometric method, BD-BACTEC TB 460 system. Overall, the performance of MODS assay in detecting MTB among TB suspects as shown by sensitivity and specificity was 89.1% and 99.1% respectively. Further, in detecting MDR-TB, MODS assay was 84.2% sensitive for those specimens reporting MDR, 87% sensitivity for those specimens reporting INH mono-resistance, and 100% sensitive for specimens reporting RIF mono-resistance. The median time to detection of TB in the MODS assay versus BACTEC was 9 versus 21 days (P< 0.001). By costing just about 5 to 10 times lesser than the automated culture methods and way cheaper than the PCR based methods, the MODS assay has the potential clinical utility as a simple and rapid method to be used in resource-limited settings with high TB burden.